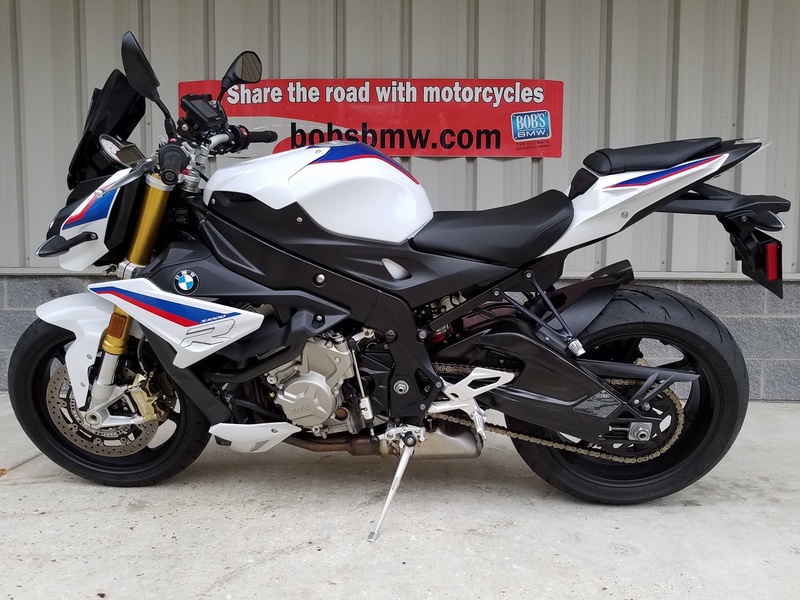 Less than one year young, this 2017 BMW S1000R in super popular Motorsport paint finish can be be yours — and it’s LIKE NEW!. This S1000R was purchased new from Bob’s BMW earlier this year in February of 2018. We had the bike built in Germany by BMW with all the options available. 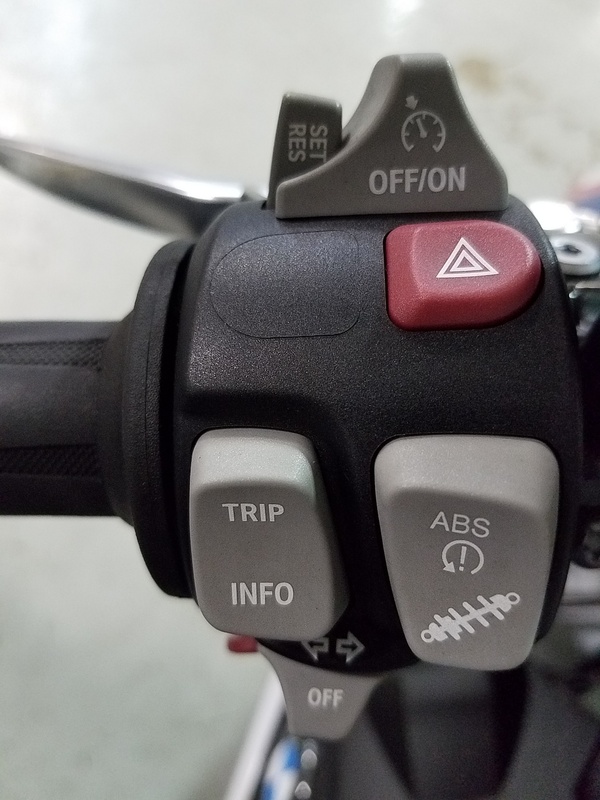 We had it loaded with the full Premium Package including gear shift assist pro (clutchless shifting after 1st gear), Ride Modes Pro, forged wheels, heated grips, engine spoiler, DTC (Dynamic Traction Control), DDC (Dynamic Damping Control), ABS Pro and Cruise Control. The previous and only other owner bought the bike in February and had a fun summer riding the S1000R locally before trading it in for a different motorcycle with a lower seat height. 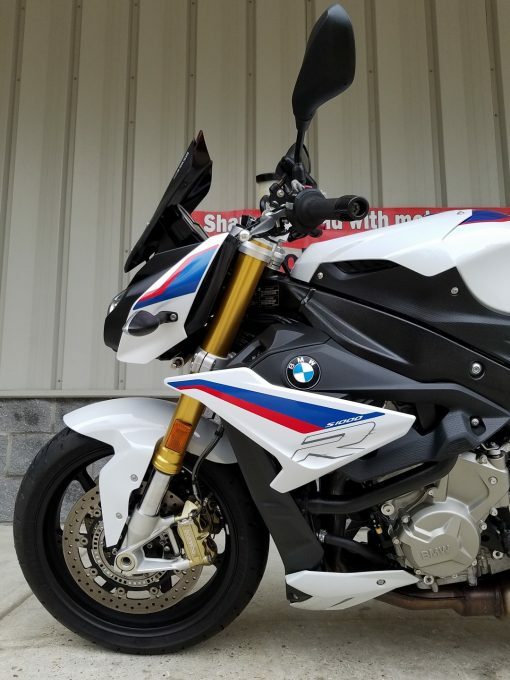 She really enjoyed the S1000R but didn’t feel confident enough in the riding position and gave up all the fun that she was having on it for a smaller bike on which she felt a little more confident. 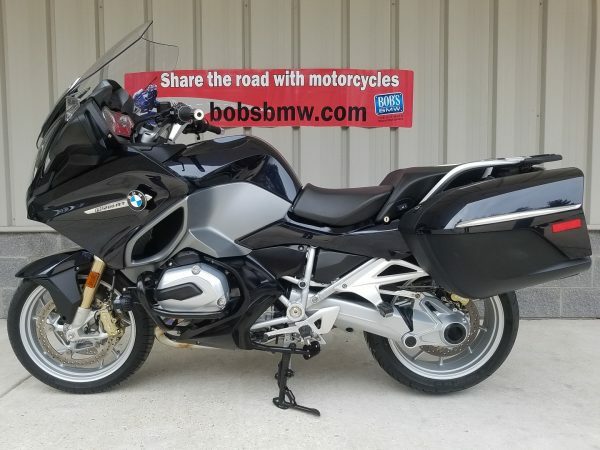 With only 2,087 miles and fully serviced and less than a year old, this BMW is going to be a great grab for someone looking for a new bike but wanting to get a great deal on a pre-owned beauty. 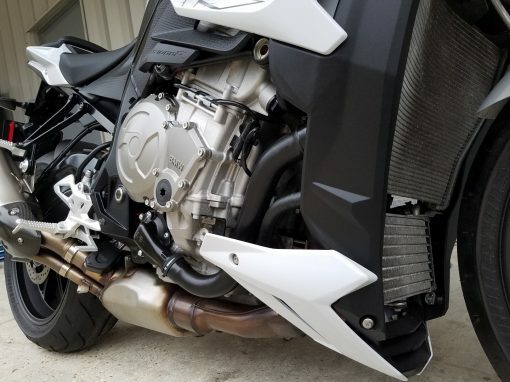 This S1000R has the great sounding and lighter Akrapovic HP muffler made specifically for this model. 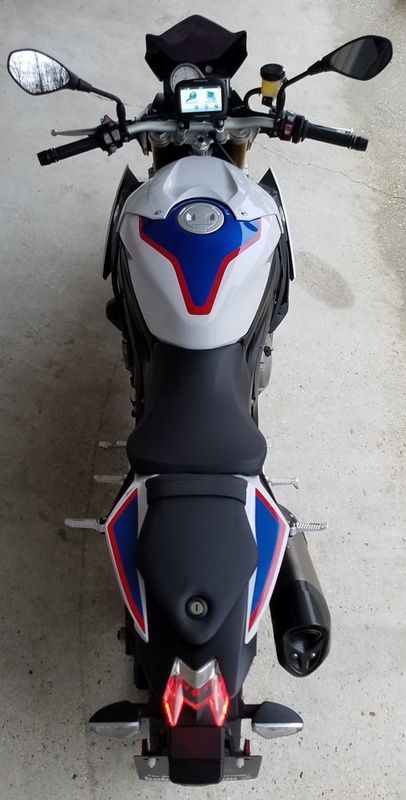 The previous owner upgraded the windscreen to a tinted Puig. 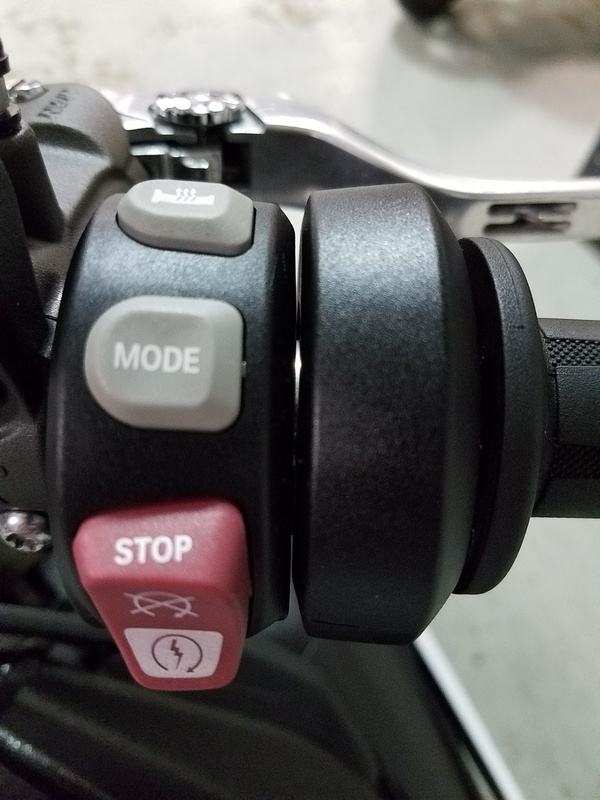 It is also GPS ready a comes with a BMW Navigator Street and is mounted to the handlebar clamps with the BMW OEM mount. 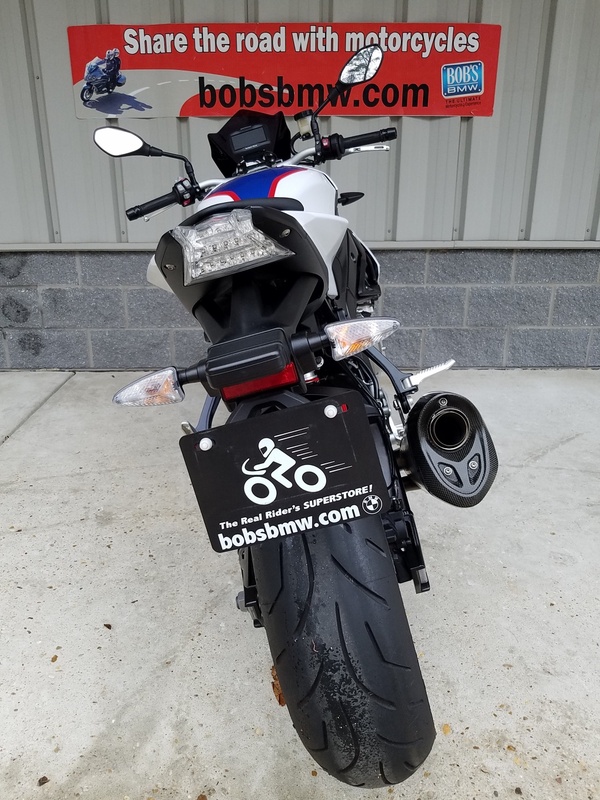 All services on the bike have been completed right here at Bob’s BMW by our Master Certified Technicians. From the initial delivery of the bike from BMW to the 600 mile break-in service to most recently preparing the bike for its new owner, you can be confident the bike has been well cared for here at Bob’s by the best technicians in the Mid-Atlantic. Most recently after completing our very detailed 38 point pre-purchase safety inspection, we cleaned and adjusted the chain, installed nitrogen in both tires and top up to the correct tire pressure, completed a full Bi-Annual service which includes engine oil and filter change, renewing the brake fluid front and rear, full safety check (brake pads, ABS system, suspension, etc.) 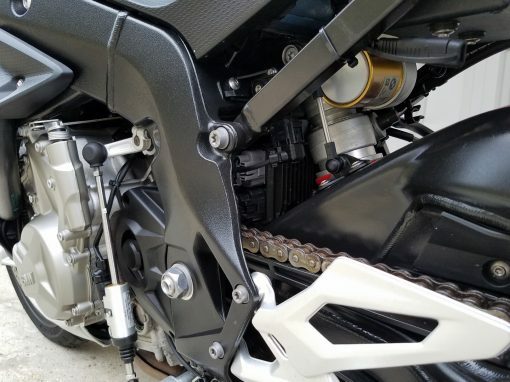 and lubed the side stand. 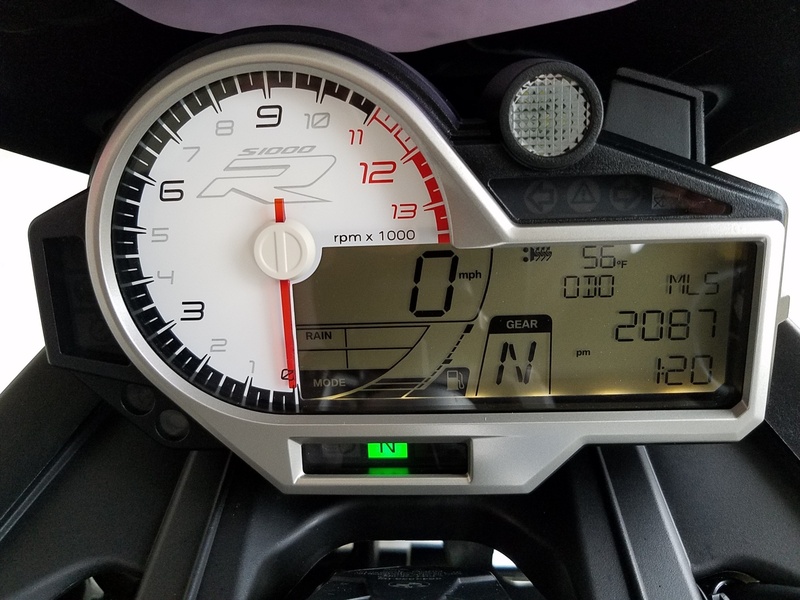 We then completed the Maryland State Inspection which the bike passed with flying colors. The bike is now fully serviced, inspected and ready for new ownership! 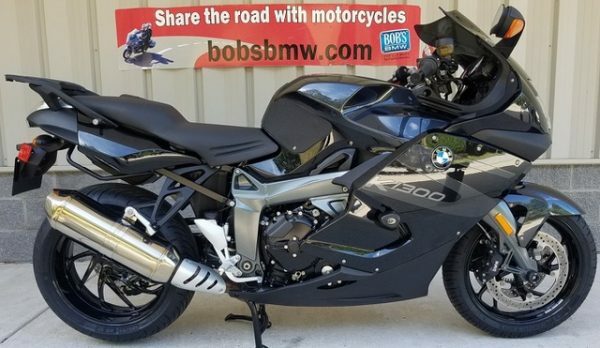 Cosmetically the bike is a 9 out of 10 if we are being very critical. 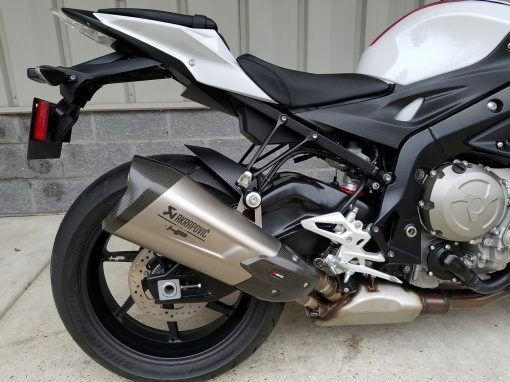 There are a couple imperfections including a small scratch on the right hand mirror and bar end. There is a scuff near the end of the muffler a little less than the size of a quarter. 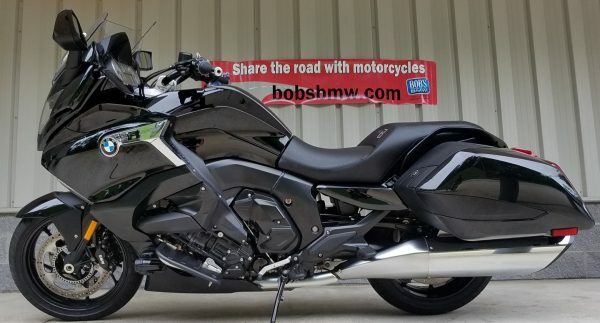 There are signs that the bike was ridden and has been enjoyed but at 2,000 miles it’s still a very new and very clean looking motorcycle. We gave it to our detailer to put the polish, shine, clean and prep the bike once we were completed with service. 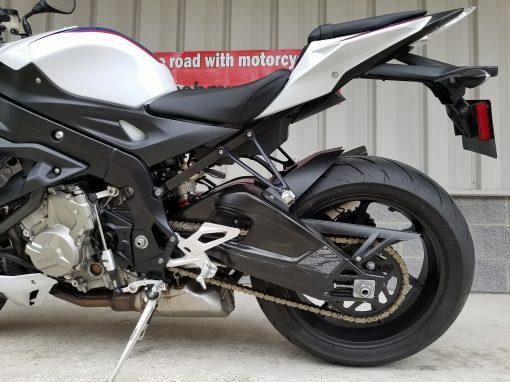 The paint looks new or as close as you can get to it. Some of the black plastic parts show some aging from the sun but it is very minor. The gauges, navigator, controls, hardware etc. look brand new. 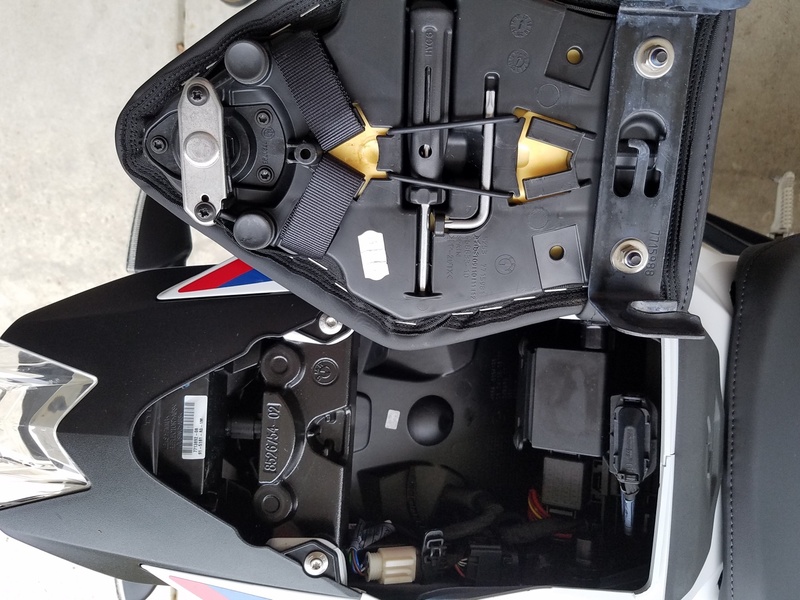 A close inspection under the seat and at the shock will show you how clean and new the bike really is. 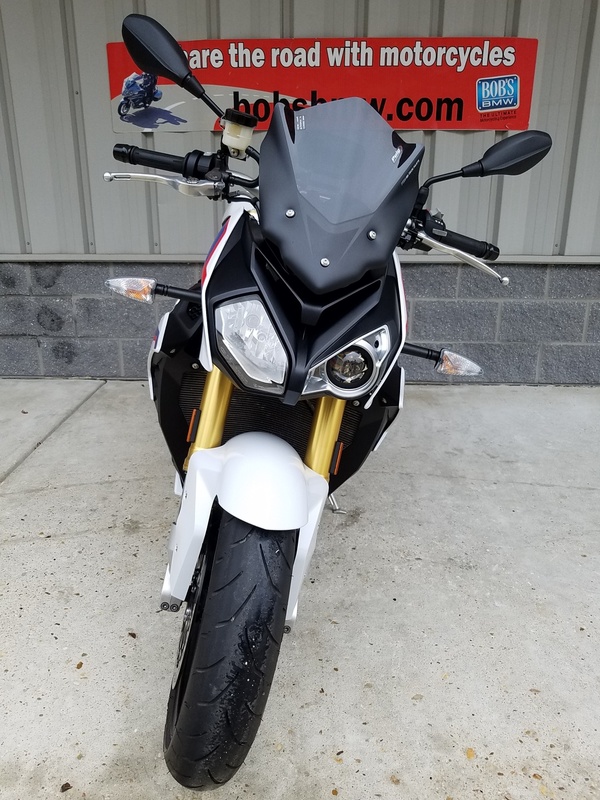 It’s a beautiful bike ready for miles and miles of uninterrupted fun. 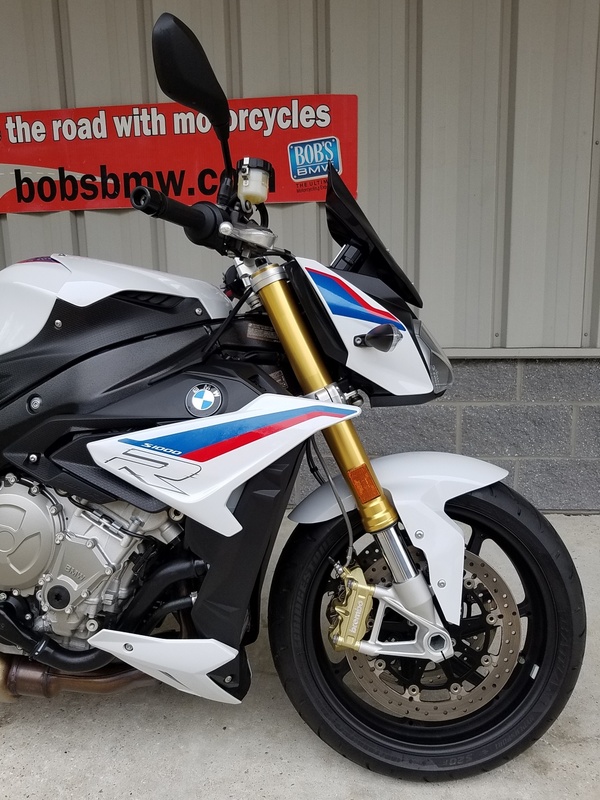 Being fully serviced and in such great cosmetic and mechanical condition this S1000R is a Bob’s BMW Advantage Certified Bike. 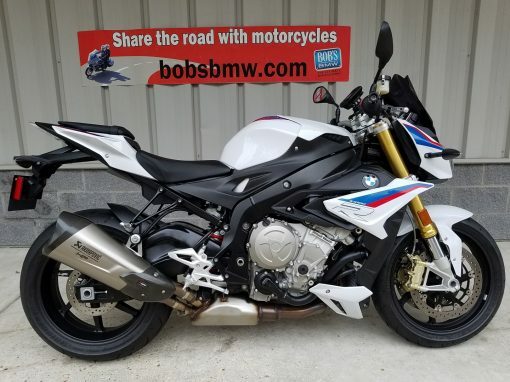 As a Bob’s BMW Advantage Certified Motorcycle it qualifies for a service loaner at no charge on your first visit plus significant discounts on Tire and Wheel Policy and or a Vehicle Service Contract from Zurich which will continue that no-cost service loaner benefit for the full time period of the policy. It comes with 2 keys, the owner’s manual and factory tool kit. Contact one of our certified BMW sales advisors today! • MD Inspected… ROCK It Today!